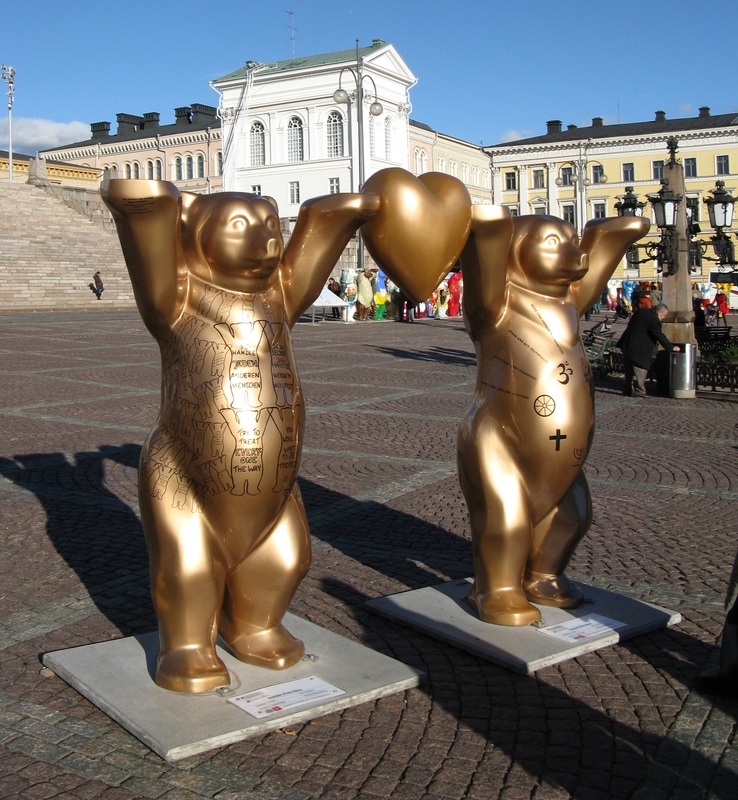 Buddy bears, better known as the Berlin bears, appeared in 2001 on the initiative of German entrepreneurs Klaus and Eva Herlitz and sculptor Roman Strobl. 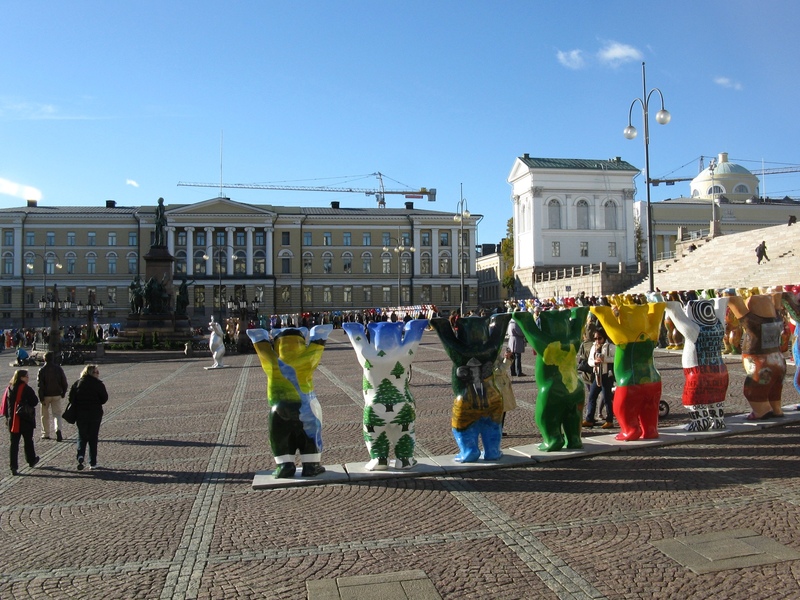 Two-meter fiberglass bear figures with raised hands symbolized friendliness and positive emotions and were painted by artists from different countries in the national spirit. In June 2002, 140 bright figures formed a ring around the Brandenburg gate, the exhibition was called "The Art of tolerance". 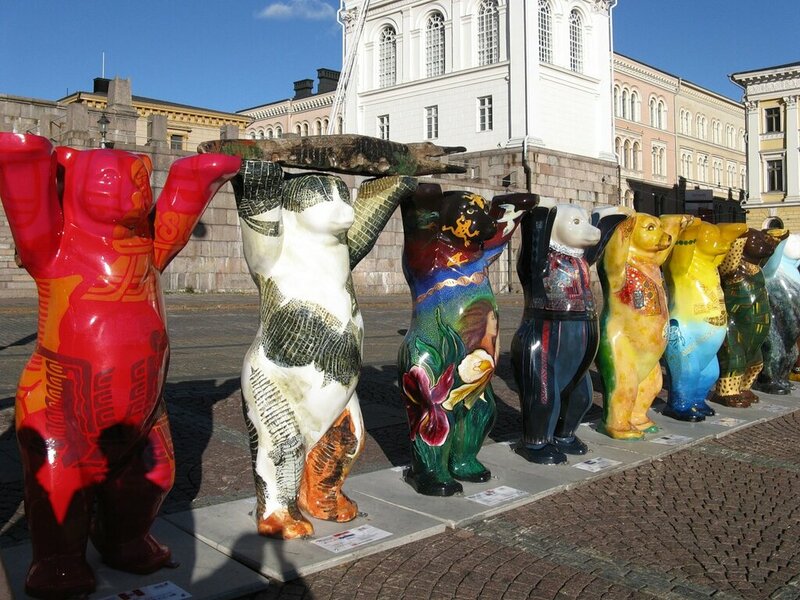 After the end of the exhibition, part of the bears was installed on the streets of Berlin, near the embassies of the respective States, becoming an unofficial symbol of the German capital. Other sculptures were sold at auction, the proceeds went to the United Nations children's Fund (UNICEF). 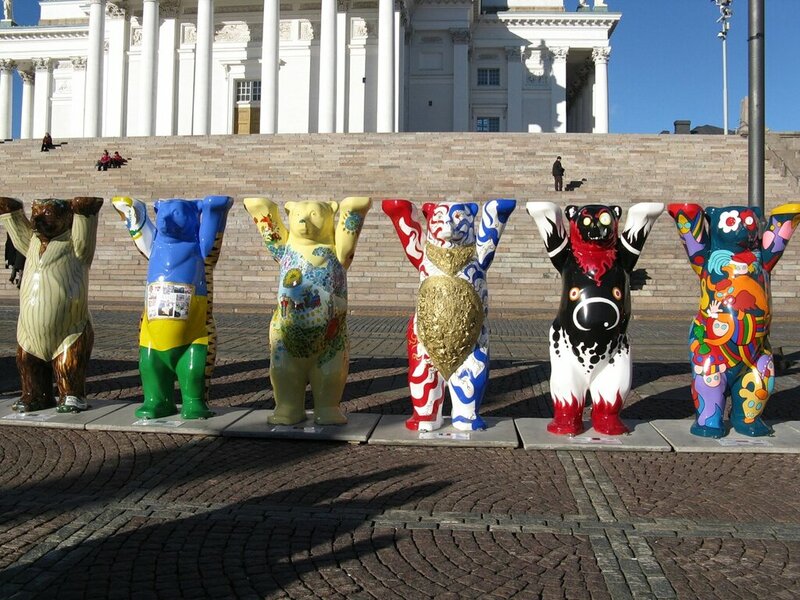 The exhibition was a huge success, There was a community of bears Buddy (United Buddy Bears), through which was made the second set of sculptures, which went on an international tour. 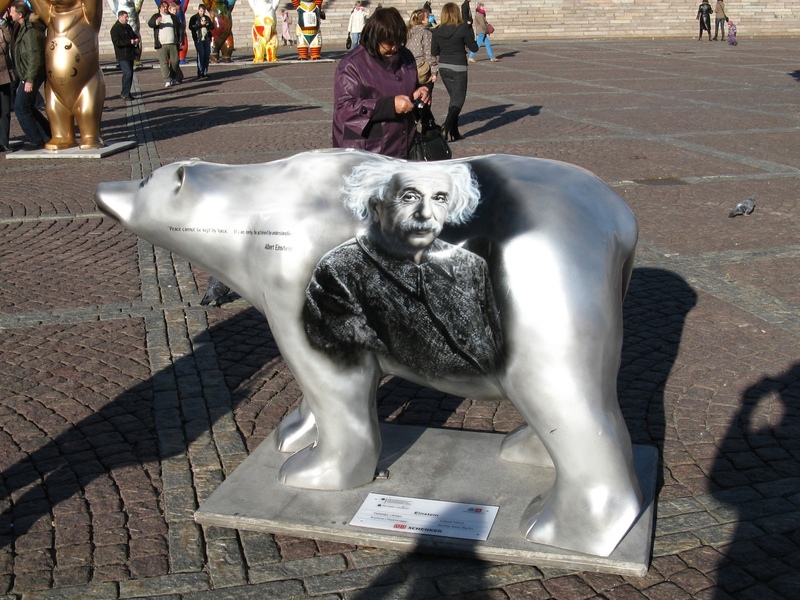 In 2003, bears again surrounded the Brandenburg gate, the next year visited Austria and China. 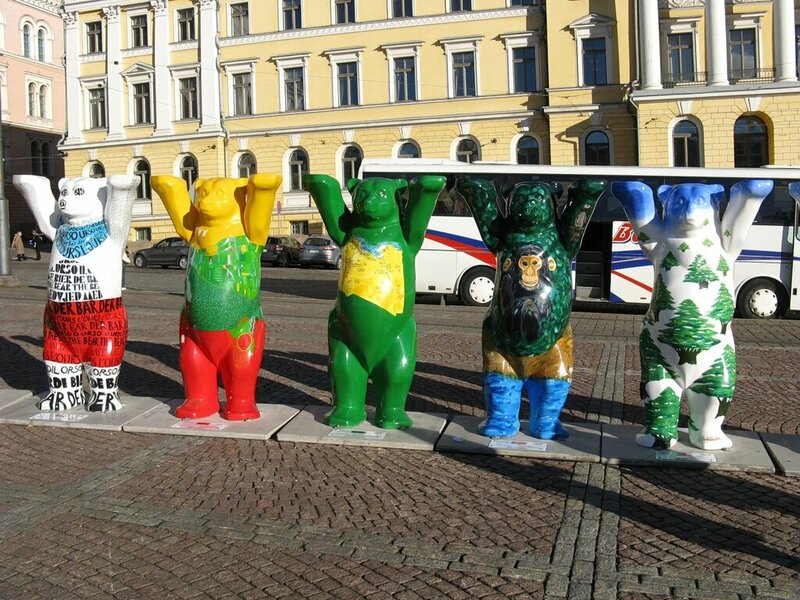 Berlin bears visited Turkey, Japan, South Korea, Australia, Egypt, Israel, Poland, North Korea, Argentina, Uruguay, Kazakhstan. 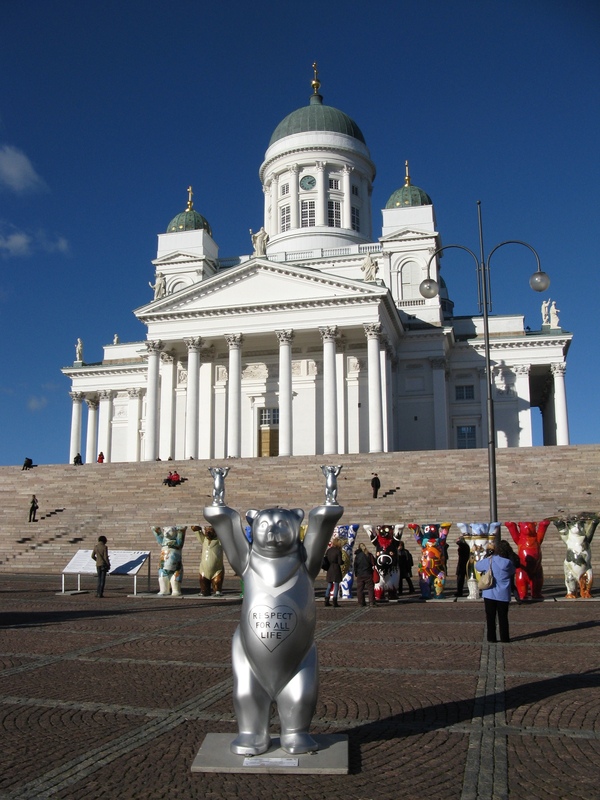 In September 2010, the bears reached the capital of Finland, where they were exhibited on the perimeter of the Senate square. 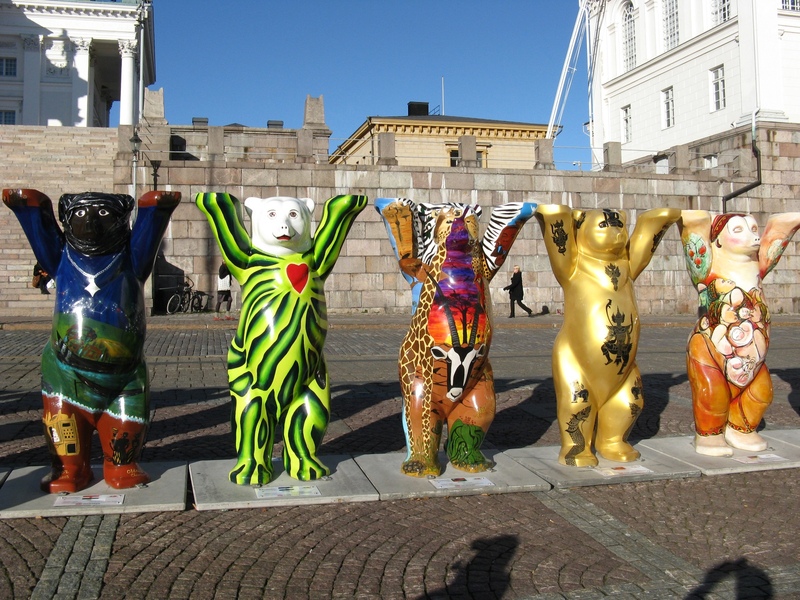 Bears and now continue their journey across countries and continents, promoting peace and good relations between people of different Nations.